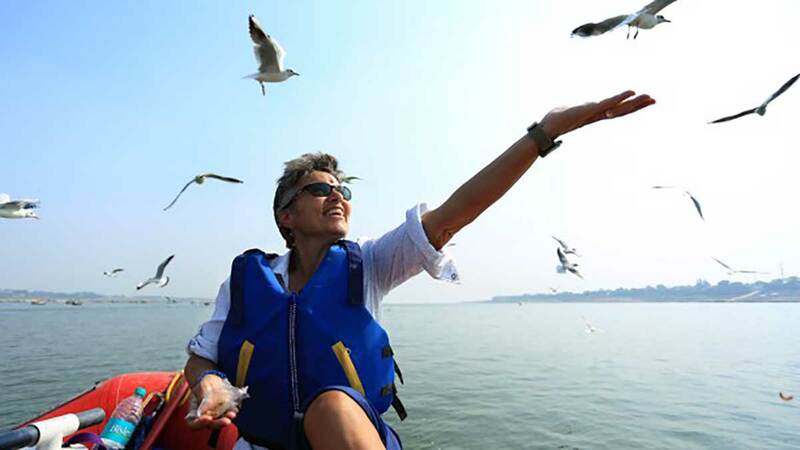 Minnesota native Ann Bancroft, BS '81, fell in love with the University of Oregon at first sight—which is just as well, as she enrolled on the advice of a friend without ever having set foot in Eugene. But while she was active athletically as a member of the UO’s rowing crew and a local field hockey team, she struggled in the classroom while working toward her education degree. Diagnosed with dyslexia in high school, doctors suggested Bancroft sit in the front of the class and record her lectures in order to succeed; she did no such thing. Ann Bancroft (second from right) on the University of Oregon rowing team. Photo courtesy of UO Rowing. As commencement grew closer and it looked like she would graduate without the grade point average needed to also earn a teaching certificate, Bancroft finally confessed to her parents that she had been hiding her dyslexia from her professors. A college advisor — who happened to be her former tennis coach — stepped in and reached out to the UO on her behalf. 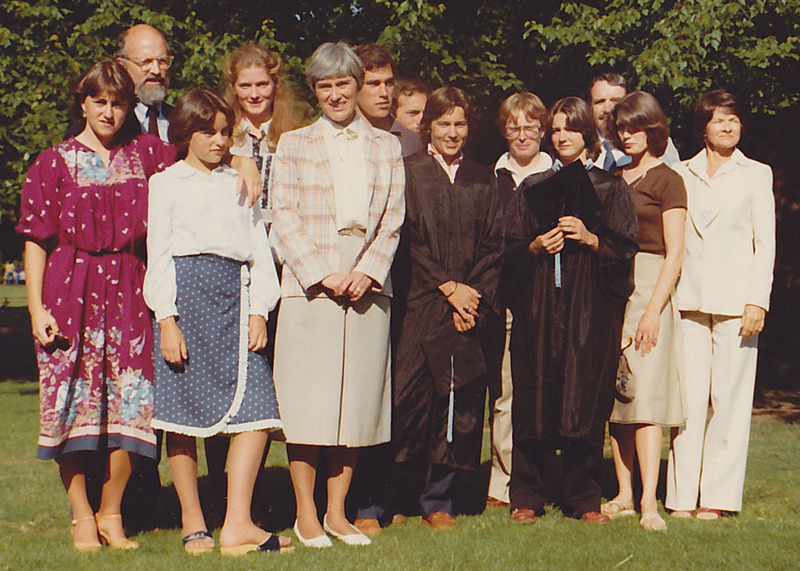 Bancroft’s professors worked with the young Minnesotan, and the combination of their assistance and her persistence saw her graduate in 1981 as a fully qualified teacher. After graduating, Bancroft applied for teaching positions throughout the Pacific Northwest, and then returned to Minnesota to spend the summer with her parents. “I refused to unpack my car because I was convinced I would get a call,” she said. Only, the call she was hoping for never came. Instead, a small school in the Twin Cities hired her, and that’s where she stayed — right up until she decided it was time to go to the North Pole. Bancroft, who had grown up idolizing British explorer Sir Ernest Shackleton at a time when most Minnesota sports fans had Fran Tarkenton posters on their walls, taught during the week and worked at an outdoor store on the weekends. 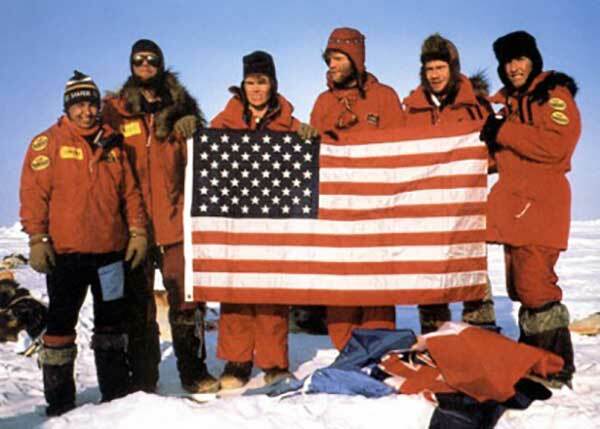 In 1986, through her contacts at the store, she learned about Will Steger’s proposed expedition to the North Pole, and after interviewing with Steger earned a place on the team. 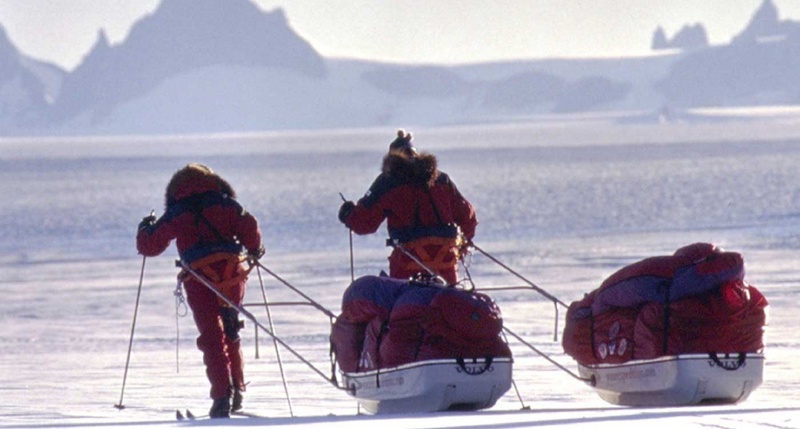 The eight explorers in the Steger International Polar Expedition brought three tons of supplies with them and spent 55 days in -70-degree temperatures crossing 1,000 miles of ice. 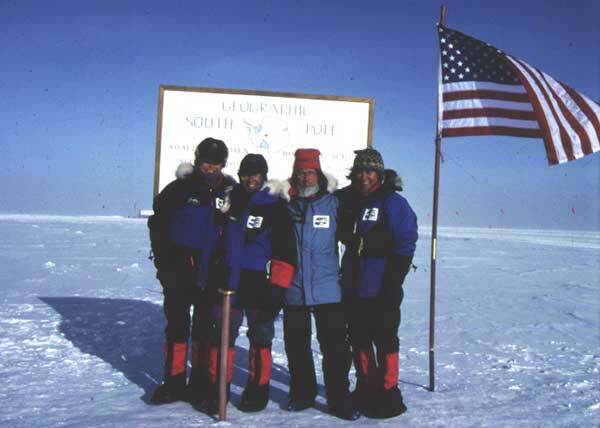 Seven of the eight reached their destination, and in doing so become the first team to reach the North Pole unsupported. Bancroft, as the only woman on the team, made history twice — she was the first known woman to cross the ice to reach the top of the world. Bancroft’s subsequent expeditions have firmly established her as one of the world’s preeminent polar explorers. 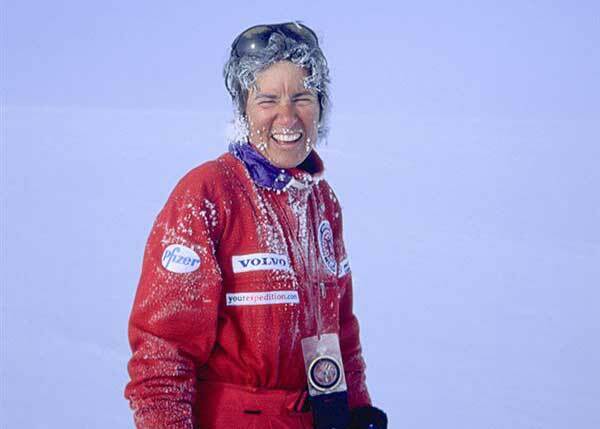 She is the first known woman to cross the ice to the North Pole, the first woman to cross the polar ice caps to reach both poles, the leader of the first American women’s east-west crossing of Greenland, the leader of the first all-female expedition to the South Pole, and with Norwegian explorer Liv Arnesen was one of the first two women to ski across Antarctica. Ms. Magazine named her “Woman of the Year” in 1987 and Glamour Magazine gave her the same honor in 2001, and in 1995 she was inducted into the National Women’s Hall of Fame. All the while, she’s continued to learn and continued to teach. 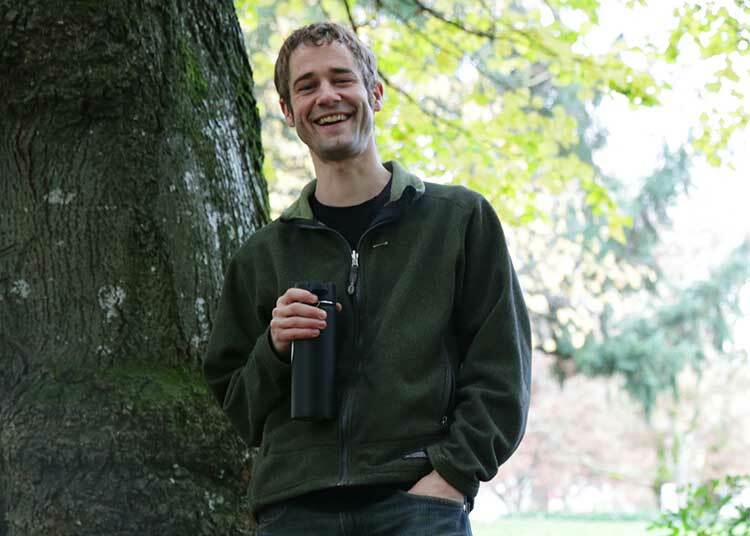 Between expeditions, Bancroft travels to schools to share with children lessons gleaned at the UO and out on the ice: the importance of being a lifelong learner, a historian, a scientist, and — if you want to navigate successfully — a mathematician. She also works with teachers to design educational curricula that bring expeditions alive in the classroom, giving students the chance to learn without having to worry about frostbite. Last year, the first woman to reach the North Pole was selected by President Obama to be the keynote speaker for the White House Arctic Science Ministerial, which brought together researchers from around the world so that they can collaborate to find solutions to issues stemming from a warming Arctic. She is also bringing attention to the global water crisis through Access Water, an initiative of Bancroft Arnesen Explore she and Arnesen co-own. Access Water is a team of women from six continents traveling the world’s legendary rivers and educating the public about what they learn along the way; to Bancroft, who once explored the waterways of Oregon as a member of the UO’s crew team before earning her education degree and teaching certificate, it is yet another way to educate and empower an entire generation to be just like her: curious, ambitious, and committed to improving the world for decades to come. There may be no bigger credit paid to Bancroft’s professors than that, after earning her education degree from the University of Oregon, she still dedicated herself to a life of teaching even though her career took her to the Arctic and Antarctic instead of academia. What she learned at the UO took her all the way to the National Women’s Hall of Fame, and she has spent decades paying forward the support she once received in Eugene — support that lifted her to the highs of speaking at the White House and buoyed her through the lows of collapsing in the snow, all alone, in the Arctic circle.